Dealing with debt can be quite difficult when your budget is limited. When debts become overwhelming, the best thing you can do is make a plan to break free. For some people, making more than the minimum payment can be easy, but others need some help. Taking back the control of your finances gives you a sense of fulfillment, and it also helps you plan for the future. In this article, you will learn a few tips that will help you clear your debts faster. Getting out of debt is easier when you have a plan you can work with. 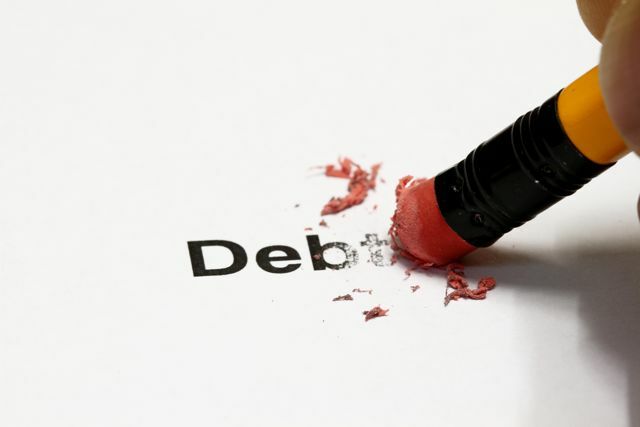 To get started, list all your debts, as well as the various creditors you need to pay. It’s important that you take a look at the interest rates and the terms when deciding which loans need the most attention. Next, you should determine the amount of money you can comfortably pay and divide the amount amongst the debts in order of urgency. Normally, you should prioritize the debts with higher interest rates and pay them down as fast as possible. If you think the payments will be difficult for you, you might want to consider talking to your creditors. It may be possible to agree on a payment plan that is favorable to you. One of the main reasons people get saddled with debts is their spending habits. Nevertheless, some debts can be justified since they serve a higher purpose, and they pay off in the long run. Poor spending habits, however, can limit your progress when working to eliminate debt. Being proactive can go a long way when making payments on various emergency loans. Basically, you need to control yourself and avoid unnecessary expenses. If you are used to impulse spending, you have to consciously make a decision to become careful when using your credit cards. Using the snowball method can be a great way to build the required momentum and clear your debts on time. This works by focusing on the debts with the smallest balance and paying them down. While you are paying the small loans, ensure you are making the minimum payments on the larger debts. Once you’ve cleared the first small loan, you should move to the next smallest debt. With time, you will deal with all your small debts, which implies that you will have more funds to clear the bigger debts. When overwhelmed with debt, achieving success is critical to keeping you motivated. When you are ready to tackle your debts, conducting a review of your income and expenses is the best way of organizing your personal finances. Basically, you should be aware of every penny you are spending, as well as all the items that you are spending the money on. More often than not, this technique can help you spot items that are draining your account. At times, people spend a lot of money on insignificant items that they can comfortably live without. If this sounds like you, you need to first list all your monthly expenses; make sure to include both small and large items on your budget. Basically, doing this helps you get a better understanding of how much money you have after meeting your financial obligations. At the same time, you can easily decide which items are worth spending on and those that should be eliminated from your budget. If prepared well, a financial statement can be a great tool for showing how you are handling your finances and will improve creditor confidence. If you feel that you need some help with your debts, contacting a credit counseling agency can be a smart move. Basically, it is possible to get professional advice for free, and you can also receive help with your repayment plan. If you are not sure if you should use a debt consolidation plan to pay all your outstanding loans, reaching out to a credit counselor can help you make a decision. The counselor will assess your situation and help you understand the various options available to you. If you don’t wake up to the reality of debt, the quality of your life can be lowered significantly. Making a decision to deal with your loans can help you stop living from paycheck to paycheck. Irrespective of the debts you have, you should realize that breaking free from the cycle of debt is possible. Nevertheless, becoming debt-free isn’t something that happens in a month, but with commitment, you can definitely achieve significant success. Creating a plan should be one of your goals but you should also follow the plan diligently. The tips discussed here can help you become debt-free and enjoy a life without financial constraints.